Effective eLearning tools combined with a marketing manager's attention to the process can help provide an efficient way to learn. eLearning represents a potentially significant and increasingly popular way for companies to train their marketing team. With competition from locally to globally growing increasingly fierce and aggressive, marketing staff must understand their company, its products and services, its perception, and the marketplace better than ever. While eLearning can train marketing staff effectively and efficiently, managers need to understand that the eLearning package must fit the needs of the team and the company. Also, unless designed in-house, managers must link the training with the company’s specific organisational culture and place in the market. Finally, marketing managers need to remain engaged in the training process to ensure that learning takes place, that it connects with company needs, and that the materials stay relevant and effective over time. In today’s environment, the marketing team must drive a company’s brand perception in the marketplace. This increasingly includes the digital space. Digital marketing teams must know how to drive web traffic to their company’s site while understanding and using new technologies and digital analytics tools. Emig also explains that expensive degrees from world-renowned schools do not help train digital marketing staff as much as internships, work experience, and certifications. Increasingly, low cost and even free certifications can be earned through eLearning. Again, however, managers need to avoid the common mistakes made while using eLearning products for company training. eLearning in a company environment should take place in conjunction with company staff supporting the educational goals. Unless the course was specifically designed for the company, which community and technical colleges will increasingly do, there will always be a disconnect between the educational product and the company’s needs. In such a situation, company staff should arm themselves with a number of real-world examples and hands-on training. Before and after the staff take the eLearning course, managers can help them connect the company’s real-world experience with the concepts learned in the class. Marketing managers also need to verify that employees understand the products and/or services that the company sells, as well as the specific demographics and marketing tools that work best. Does the eLearning material used by staff include instruction on GDPR or Privacy Shield? The European Union’s General Data Protection Regulation and the US Department of Commerce’s Privacy Shield are both essential to understanding for companies collecting data internationally. These regulations and services came into being only in 2018, so training materials even just a year old may already be outdated. Marketing techniques and essential knowledge, especially in the digital realm, change very quickly. As a marketing manager, one must pay close attention to the eLearning training materials. Staff must be prepared to supplement training materials to make sure that all employees understand the latest regulations and market conditions. Marketing managers should try to match the training to the skill set of the employees hired. Optimally, training offerings should help train people all the way from entry level to those very experienced in the field. This means that the source of training should offer some flexibility in what they offer. Also, managers need to pay attention and ensure that employees do not receive too much or too little training. Too much training is very tempting. A manager might reason that no harm exists in putting employees through training sessions that partly teach what they already know. The danger in this approach lies in the fact that employees’ attention spans might check out during material already mastered and not mentally check back in for new material. If no way around this exists, managers should explain why employees must undergo the training again and point out the essential new material. Undertraining occurs when marketing managers overestimate what new employees understand or know about the field. An experienced manager may assume that some concepts are common knowledge, but many recent graduates from college, for example, do not have the knowledge or skill sets required. Managers should perform assessments of some sort to gauge employee knowledge and pick out a training that will best benefit the individual and the company. One of the worst mistakes a manager can make lies in failing to verify that the employee or employees learned the material. 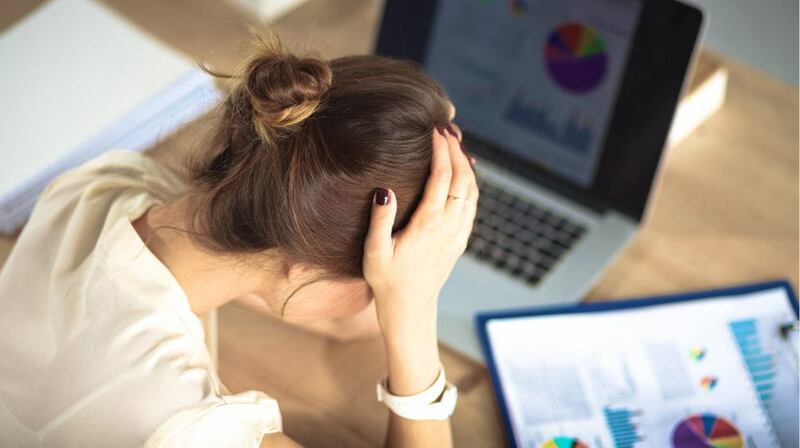 Failure to learn can happen when employees must use a poorly chosen eLearning course, if some distraction interferes with learning, or if the manager has not ensured that the employee has learned to connect the concepts with the company reality. Other barriers to learning occur if the training pushes too much content into too little time, fails to engage the employee, etc. Whatever the reason, the manager must perform post-training assessments to gauge the effectiveness of the eLearning package. This will tell them what further training or education could help, the effectiveness of the training itself, and how it could be done with better results in the future. It will also let the manager know if the employee is prepared for real-world work on their own. eLearning represents a powerful tool that marketing managers can use to get new employees on board, help a longer tenured employee adapt to a new position, or periodically update productive employees on the latest information. Marketing managers, however, must take care to select the proper training tools and also remain engaged with the training to ensure maximum productive impact. Continual engagement will also help marketing managers know if they need to shift to new materials.